You want something gloriously awesome? Here. 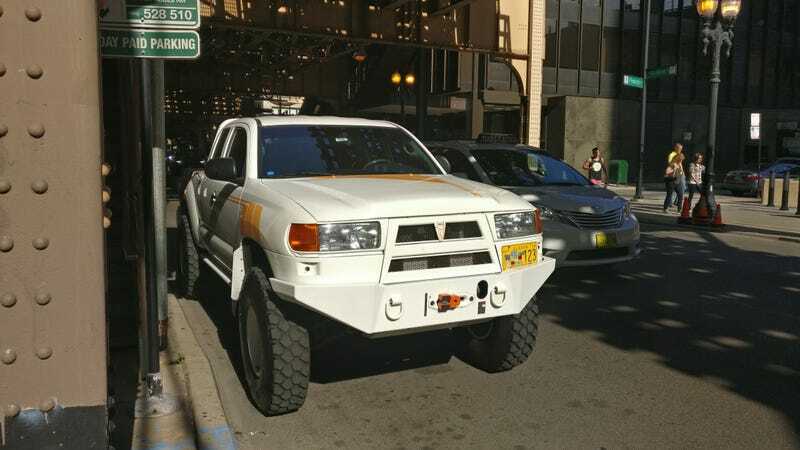 This appears to be a last generation Toyota Tacoma with some serious modifications. I love it. The 70s vibe is so real and the level is off the charts. More photos after the break. That old school Toyota logo.